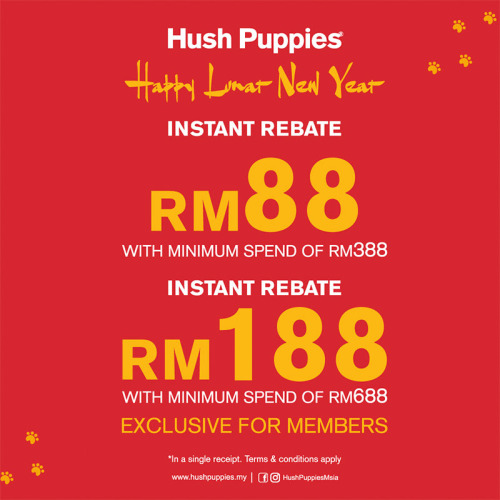 Let’s usher this Chinese New Year with Hush Puppies. Get Instant Rebate of RM88 with a minimum purchase of RM388 or Instant Rebate of RM188 with a minimum purchase of RM688 in a single receipt. Exclusive for Members for a Limited Time only! T&C Applies.